Quality of Life: Ottawa ranks among the world’s most desirable cities to call home. The National Capital city is very clean and green. The city offers unparallel health services, economic securities and affordable housing options. From first time home styles to luxurious mansions to mature adult surroundings, there are many styles, price points and neighbourhoods to choose from. Ottawa’s average housing prices are currently below the National average which means it is a great city to invest in. Neighbourhood Lifestyles: The city offers a wide variety of neighbourhood settings from sophisticated downtown urban lifestyles, to well planned family style communities to rural country atmospheres. 90% of Ottawa is Rural. The developed city core provides an assortment of choices from new construction, cozy heritage, mature setting, to condo high rises. Charm: Population is currently under a million, a small town feel with a big city presence. There is a variety of sports, arts, entertainment and fine dining options to choose from. It has major shopping destinations with the major brands and national retailer chains. There are 6 University and Colleges throughout the city. There are public and private school options in English, French or other languages. It is a diverse multi cultural community. Employment Destination: Ottawa offers a wide variety of employment options from Industry, Technology, Services and Government. It has a large population of High Level Military, R.C.M.P., Hi Tech and Federal Employees. It is a destination city which offers jobs to a large labour force, educational training and an above average community feel. Recreation/Vacation: You can stay in town and/or head 30 to 60 minutes in any direction. To find a selection of camping, boating and cottage destinations. There is recreation for skiing/snowboarding, snowmobiling, golf, fishing, biking, climbing, kayaking and hiking to name a few. The city is blessed with two major waterways, the Rideau and the Ottawa Rivers. Four Seasons: A full four season destination. Each one offering its own options, charm and appeal. Celebrate and enjoy all that they have to offer. City of Festivals: Tourism, Conventions and Entertainment are an ongoing part of life in Ottawa. The Festivals mark the calendars from the Winterlude celebration of winter and skating on the Rideau Canal to the Tulip, Jazz and Blues Festivals. There is a lot to see and do throughout the year. Don’t forget the variety of museums too; they can be very educational and breathtaking. Foodies: Yes we have a Little Italy, China Town, the Byward Market, Elgin Street and new revised Westboro options for a wide variety of eateries, local markets and international food resources. From Cumberland to Stittsville or South to Manotick the options are endless and the quality of chefs and locally grown produces is outstanding. Transportation: Easy to get around, once you know your way. It is said that in 20 to 30 minutes you can be from one end to the other outside of rush hours. Ottawa has a world class transportation system that is about to get even better in the next few years with an underground tunnel in the downtown core and light rail. It has a newly built international Airport, two train stations and a major bus terminal. Roots: Ottawa has been a place to call home for many generations. Many transient careers that move into Ottawa never leave. The people are friendly; there is a quality of lifestyle and a sense of well being. Starting a family, building on your career, or retirement living, there are more and more people setting roots in Ottawa as opposed to moving on. If you or someone you know is contemplating moving to Ottawa, contact the Hamre Real Estate Team of RE/MAX Affiliates Realty in Ottawa. 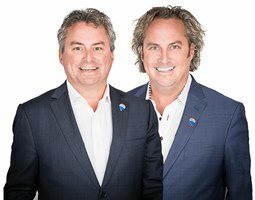 Greg and Steve Hamre are world ranked real estate agents in the RE/MAX organization. They know Ottawa. A large percentage of their business is relocation. They will make sure you have a very positive and memorable buying or selling experience. Visit their website at http://www.WeKnowOttawa.com or call them toll free at 1-866-787-2111. One of the largest investments you will make in your life time is in real estate. Why not deal with the pros, you won’t regret it. Written by Greg Hamre, the Hamre Real Estate Team at RE/MAX Affiliates Realty Ltd.